 Palomino RVs in Ponchatoula, Louisiana : Palomino RV is a division of Forest River, Inc, North America's largest producer of Recreational Vehicles. 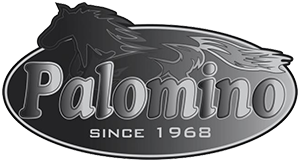 Palomino RV is able to produce RV's with top quality materials and techniques at a fraction of the cost of competitors. You will notice more features on a Palomino from larger windows and longer awnings to name brand appliances and furniture, all of this adds up to a better value and a great return on your investment. 2019 Palomino Puma 21FBC, Due to manufacturers' policies we cannot advertise prices any lower than MSRP, call or email today for our LOWEST PRICE. Also ask about our nationwide delivery program and out-of-state discount. Berryland Campers is one of the largest RV dealers in the Gulf South. According to Statistical Surveys, we are the #1 dealer for travel trailers and 5th wheels in the Southeast and have been for many years. We sell so many because we sell them for less and give good service. Centrally located at the intersection of I-55 and I-12 in Hammond LA we are an easy drive from anywhere in the south. 2019 Palomino Puma 32FBQS, Due to manufacturers' policies we cannot advertise prices any lower than MSRP, call or email today for our LOWEST PRICE. Also ask about our nationwide delivery program and out-of-state discount. Berryland Campers is one of the largest RV dealers in the Gulf South. According to Statistical Surveys, we are the #1 dealer for travel trailers and 5th wheels in the Southeast and have been for many years. We sell so many because we sell them for less and give good service. Centrally located at the intersection of I-55 and I-12 in Hammond LA we are an easy drive from anywhere in the south. 2020 Palomino Puma 29QBSS, Due to manufacturers' policies we cannot advertise prices any lower than MSRP, call or email today for our LOWEST PRICE. Also ask about our nationwide delivery program and out-of-state discount. Berryland Campers is one of the largest RV dealers in the Gulf South. According to Statistical Surveys, we are the #1 dealer for travel trailers and 5th wheels in the Southeast and have been for many years. We sell so many because we sell them for less and give good service. Centrally located at the intersection of I-55 and I-12 in Hammond LA we are an easy drive from anywhere in the south. 2019 Palomino Solaire 268BHSK, Due to manufacturers' policies we cannot advertise prices any lower than MSRP, call or email today for our LOWEST PRICE. Also ask about our nationwide delivery program and out-of-state discount. Berryland Campers is one of the largest RV dealers in the Gulf South. According to Statistical Surveys, we are the #1 dealer for travel trailers and 5th wheels in the Southeast and have been for many years. We sell so many because we sell them for less and give good service. Centrally located at the intersection of I-55 and I-12 in Hammond LA we are an easy drive from anywhere in the south. 2019 Palomino Puma 286RBSS, Due to manufacturers' policies we cannot advertise prices any lower than MSRP, call or email today for our LOWEST PRICE. Also ask about our nationwide delivery program and out-of-state discount. Berryland Campers is one of the largest RV dealers in the Gulf South. According to Statistical Surveys, we are the #1 dealer for travel trailers and 5th wheels in the Southeast and have been for many years. We sell so many because we sell them for less and give good service. Centrally located at the intersection of I-55 and I-12 in Hammond LA we are an easy drive from anywhere in the south. 2019 Palomino Puma 31BHSC, Due to manufacturers' policies we cannot advertise prices any lower than MSRP, call or email today for our LOWEST PRICE. Also ask about our nationwide delivery program and out-of-state discount. Berryland Campers is one of the largest RV dealers in the Gulf South. According to Statistical Surveys, we are the #1 dealer for travel trailers and 5th wheels in the Southeast and have been for many years. We sell so many because we sell them for less and give good service. Centrally located at the intersection of I-55 and I-12 in Hammond LA we are an easy drive from anywhere in the south. 2019 Palomino Puma 27RLSS, Due to manufacturers' policies we cannot advertise prices any lower than MSRP, call or email today for our LOWEST PRICE. Also ask about our nationwide delivery program and out-of-state discount. Berryland Campers is one of the largest RV dealers in the Gulf South. According to Statistical Surveys, we are the #1 dealer for travel trailers and 5th wheels in the Southeast and have been for many years. We sell so many because we sell them for less and give good service. Centrally located at the intersection of I-55 and I-12 in Hammond LA we are an easy drive from anywhere in the south. 2019 Palomino Columbus 378MB, Due to manufacturers' policies we cannot advertise prices any lower than MSRP, call or email today for our LOWEST PRICE. Also ask about our nationwide delivery program and out-of-state discount. Berryland Campers is one of the largest RV dealers in the Gulf South. According to Statistical Surveys, we are the #1 dealer for travel trailers and 5th wheels in the Southeast and have been for many years. We sell so many because we sell them for less and give good service. Centrally located at the intersection of I-55 and I-12 in Hammond LA we are an easy drive from anywhere in the south. 2019 Palomino Columbus 86FK, Due to manufacturers' policies we cannot advertise prices any lower than MSRP, call or email today for our LOWEST PRICE. Also ask about our nationwide delivery program and out-of-state discount. Berryland Campers is one of the largest RV dealers in the Gulf South. According to Statistical Surveys, we are the #1 dealer for travel trailers and 5th wheels in the Southeast and have been for many years. We sell so many because we sell them for less and give good service. Centrally located at the intersection of I-55 and I-12 in Hammond LA we are an easy drive from anywhere in the south. 2019 Palomino Puma 17QBC, Due to manufacturers' policies we cannot advertise prices any lower than MSRP, call or email today for our LOWEST PRICE. Also ask about our nationwide delivery program and out-of-state discount. Berryland Campers is one of the largest RV dealers in the Gulf South. According to Statistical Surveys, we are the #1 dealer for travel trailers and 5th wheels in the Southeast and have been for many years. We sell so many because we sell them for less and give good service. Centrally located at the intersection of I-55 and I-12 in Hammond LA we are an easy drive from anywhere in the south. 2019 Palomino Puma 30DBSC, Due to manufacturers' policies we cannot advertise prices any lower than MSRP, call or email today for our LOWEST PRICE. Also ask about our nationwide delivery program and out-of-state discount. Berryland Campers is one of the largest RV dealers in the Gulf South. According to Statistical Surveys, we are the #1 dealer for travel trailers and 5th wheels in the Southeast and have been for many years. We sell so many because we sell them for less and give good service. Centrally located at the intersection of I-55 and I-12 in Hammond LA we are an easy drive from anywhere in the south. 2019 Palomino Solaire 316RLTS, Due to manufacturers' policies we cannot advertise prices any lower than MSRP, call or email today for our LOWEST PRICE. Also ask about our nationwide delivery program and out-of-state discount. Berryland Campers is one of the largest RV dealers in the Gulf South. According to Statistical Surveys, we are the #1 dealer for travel trailers and 5th wheels in the Southeast and have been for many years. We sell so many because we sell them for less and give good service. Centrally located at the intersection of I-55 and I-12 in Hammond LA we are an easy drive from anywhere in the south. 2019 Palomino Solaire 304RKDS, Due to manufacturers' policies we cannot advertise prices any lower than MSRP, call or email today for our LOWEST PRICE. Also ask about our nationwide delivery program and out-of-state discount. Berryland Campers is one of the largest RV dealers in the Gulf South. According to Statistical Surveys, we are the #1 dealer for travel trailers and 5th wheels in the Southeast and have been for many years. We sell so many because we sell them for less and give good service. Centrally located at the intersection of I-55 and I-12 in Hammond LA we are an easy drive from anywhere in the south. 2019 Palomino Puma 31DBTS, Due to manufacturers' policies we cannot advertise prices any lower than MSRP, call or email today for our LOWEST PRICE. Also ask about our nationwide delivery program and out-of-state discount. Berryland Campers is one of the largest RV dealers in the Gulf South. According to Statistical Surveys, we are the #1 dealer for travel trailers and 5th wheels in the Southeast and have been for many years. We sell so many because we sell them for less and give good service. Centrally located at the intersection of I-55 and I-12 in Hammond LA we are an easy drive from anywhere in the south. 2019 Palomino Puma 28DBFQ, Due to manufacturers' policies we cannot advertise prices any lower than MSRP, call or email today for our LOWEST PRICE. Also ask about our nationwide delivery program and out-of-state discount. Berryland Campers is one of the largest RV dealers in the Gulf South. According to Statistical Surveys, we are the #1 dealer for travel trailers and 5th wheels in the Southeast and have been for many years. We sell so many because we sell them for less and give good service. Centrally located at the intersection of I-55 and I-12 in Hammond LA we are an easy drive from anywhere in the south. 2019 Palomino Puma 24FBSC, Due to manufacturers' policies we cannot advertise prices any lower than MSRP, call or email today for our LOWEST PRICE. Also ask about our nationwide delivery program and out-of-state discount. Berryland Campers is one of the largest RV dealers in the Gulf South. According to Statistical Surveys, we are the #1 dealer for travel trailers and 5th wheels in the Southeast and have been for many years. We sell so many because we sell them for less and give good service. Centrally located at the intersection of I-55 and I-12 in Hammond LA we are an easy drive from anywhere in the south. 2019 Palomino Columbus 329DV, Due to manufacturers' policies we cannot advertise prices any lower than MSRP, call or email today for our LOWEST PRICE. Also ask about our nationwide delivery program and out-of-state discount. Berryland Campers is one of the largest RV dealers in the Gulf South. According to Statistical Surveys, we are the #1 dealer for travel trailers and 5th wheels in the Southeast and have been for many years. We sell so many because we sell them for less and give good service. Centrally located at the intersection of I-55 and I-12 in Hammond LA we are an easy drive from anywhere in the south. 2019 Palomino Puma 39PFK, Due to manufacturers' policies we cannot advertise prices any lower than MSRP, call or email today for our LOWEST PRICE. Also ask about our nationwide delivery program and out-of-state discount. Berryland Campers is one of the largest RV dealers in the Gulf South. According to Statistical Surveys, we are the #1 dealer for travel trailers and 5th wheels in the Southeast and have been for many years. We sell so many because we sell them for less and give good service. Centrally located at the intersection of I-55 and I-12 in Hammond LA we are an easy drive from anywhere in the south. 2019 Palomino Puma 38RLB, Due to manufacturers' policies we cannot advertise prices any lower than MSRP, call or email today for our LOWEST PRICE. Also ask about our nationwide delivery program and out-of-state discount. Berryland Campers is one of the largest RV dealers in the Gulf South. According to Statistical Surveys, we are the #1 dealer for travel trailers and 5th wheels in the Southeast and have been for many years. We sell so many because we sell them for less and give good service. Centrally located at the intersection of I-55 and I-12 in Hammond LA we are an easy drive from anywhere in the south. 2019 Palomino Puma 28DSBC, Due to manufacturers' policies we cannot advertise prices any lower than MSRP, call or email today for our LOWEST PRICE. Also ask about our nationwide delivery program and out-of-state discount. Berryland Campers is one of the largest RV dealers in the Gulf South. According to Statistical Surveys, we are the #1 dealer for travel trailers and 5th wheels in the Southeast and have been for many years. We sell so many because we sell them for less and give good service. Centrally located at the intersection of I-55 and I-12 in Hammond LA we are an easy drive from anywhere in the south. 2019 Palomino Puma 25TFC-425, Due to manufacturers' policies we cannot advertise prices any lower than MSRP, call or email today for our LOWEST PRICE. Also ask about our nationwide delivery program and out-of-state discount. Berryland Campers is one of the largest RV dealers in the Gulf South. According to Statistical Surveys, we are the #1 dealer for travel trailers and 5th wheels in the Southeast and have been for many years. We sell so many because we sell them for less and give good service. Centrally located at the intersection of I-55 and I-12 in Hammond LA we are an easy drive from anywhere in the south. 2019 Palomino Puma 32BHKS, Due to manufacturers' policies we cannot advertise prices any lower than MSRP, call or email today for our LOWEST PRICE. Also ask about our nationwide delivery program and out-of-state discount. Berryland Campers is one of the largest RV dealers in the Gulf South. According to Statistical Surveys, we are the #1 dealer for travel trailers and 5th wheels in the Southeast and have been for many years. We sell so many because we sell them for less and give good service. Centrally located at the intersection of I-55 and I-12 in Hammond LA we are an easy drive from anywhere in the south. 2019 Palomino Solaire 312TSQBK, Due to manufacturers' policies we cannot advertise prices any lower than MSRP, call or email today for our LOWEST PRICE. Also ask about our nationwide delivery program and out-of-state discount. Berryland Campers is one of the largest RV dealers in the Gulf South. According to Statistical Surveys, we are the #1 dealer for travel trailers and 5th wheels in the Southeast and have been for many years. We sell so many because we sell them for less and give good service. Centrally located at the intersection of I-55 and I-12 in Hammond LA we are an easy drive from anywhere in the south. 2019 Palomino Puma 25RLC, Due to manufacturers' policies we cannot advertise prices any lower than MSRP, call or email today for our LOWEST PRICE. Also ask about our nationwide delivery program and out-of-state discount. Berryland Campers is one of the largest RV dealers in the Gulf South. According to Statistical Surveys, we are the #1 dealer for travel trailers and 5th wheels in the Southeast and have been for many years. We sell so many because we sell them for less and give good service. Centrally located at the intersection of I-55 and I-12 in Hammond LA we are an easy drive from anywhere in the south.